You’re looking for an intimate and deeply personal relationship with God. The abundance of love spilling out of you fuels a curiosity about what you can do uniquely to please and to delight him. What should you do? If you are looking to relate to God in a very personal, singular way, a reasonable starting point is looking at those gifts God gave singularly to you. We are not given equal abilities. Jesus’ parable of the talents recounted in Matthew 25 makes that clear. Further, the parable indicates our talents are not self-generated but entrusted to us for a limited time by God. Moreover, we are expected to use what we are given. The worst offense is inaction because of fear. The slave who buried a talent for safekeeping was cast “into the outer darkness” with “weeping and gnashing of teeth.” This parable does not describe a God who is into playing it safe. It describes a God who loves boldness and risk-taking. vocation. Many aptitudes can create many choices that can confound decision making. “Should I lead the consumer subsidiary of a billion dollar corporation or should I start my own company or should I lead the local chapter of a national non-profit?” The gifted telecom executive who faced that decision now works for Special Olympics of Texas. Ponder the abundance set before you—the talents you enjoy, the opportunities that have come your way, the love that surrounds you on all sides. If you had the great fortune of being born in North America, count that. 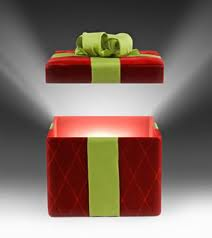 Is there a gift you have been neglecting? Is there a talent you resist using? What is the consequence you fear? Is it sinking in failure? Is it rising to success? Air this out with God. That unique combination of gifts he gave only to you and your response to them are your cosa nostra with God—“our thing,” just between the two of you. This pondering is not meant to become an exercise in navel gazing, however. Scripture suggests God wants us to recognize our gifts, but he wants even more for us to get up and to do something, anything, that is a fruitful and creative response to the gifts. Our response is our gift back to God. Santa Clara versus Ottawa doesn’t really matter that much. Where do the people inspire you most? Where do you inspire others most? Which company is the better corporate citizen? God will give you an abundance of opportunity to love and to serve others either way. He can’t wait to encourage you there. Join the conversation. What gifts have you given God this week? This entry was posted in Spiritual Practices, Spirituality and tagged discerning God’s Will, Gift from God, intimacy with God, talents, Will of God by Stephanie Walker. Bookmark the permalink.